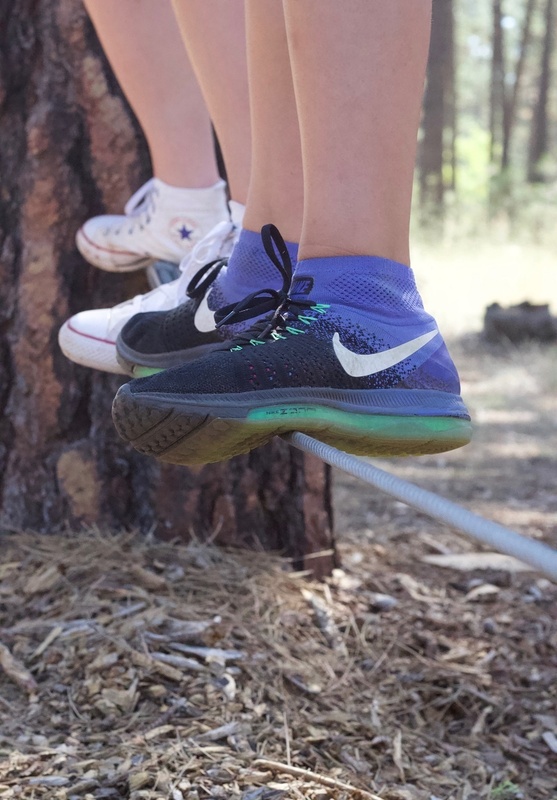 This summer, dozens of children each week are enjoying a chance to get out of their urban neighborhoods and enjoy brand-new outdoor experiences at UGM Camp. But trust and friendships are the true treasure to be found at UGM Camp, as you’ll see in these vignettes from camp facilitators. 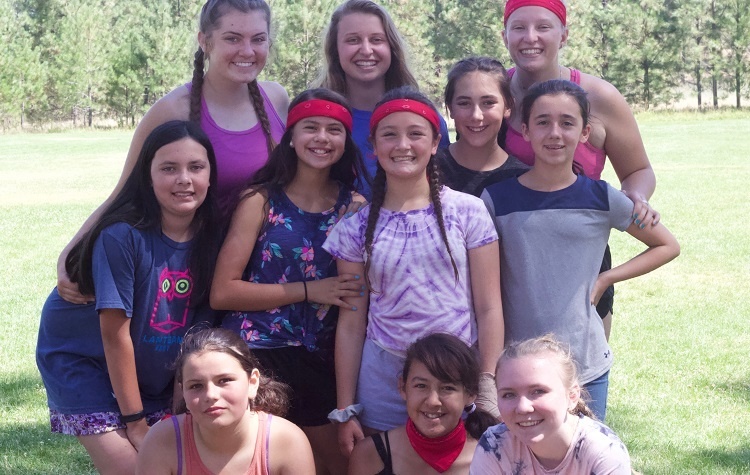 On the last day of camp, cabin leader Stephanie asked her girls, “When you leave tomorrow, what do you want to happen to make you feel successful?” Not one person mentioned winning in any competition. The girls each decided that the factor that determined the success of the week was the friendships that they were making with one another. So Stephanie led the girls to the picnic tables and announced that they would each do a trust fall off of the table into the arms of her cabin mates. One girl, Sami, was so excited that she jumped up onto the table first. The cabin waited arms outstretched for a few minutes, but Sami hesitated. Stephanie told Sami she would go first. Standing for a few moments on that table, she experienced some of Sami’s anxiety. She closed her eyes and allowed herself to fall backward. The girls caught her and cheered. After seeing Stephanie be caught and supported by her cabin, Sami was able to go back on top of the table and complete the challenge. 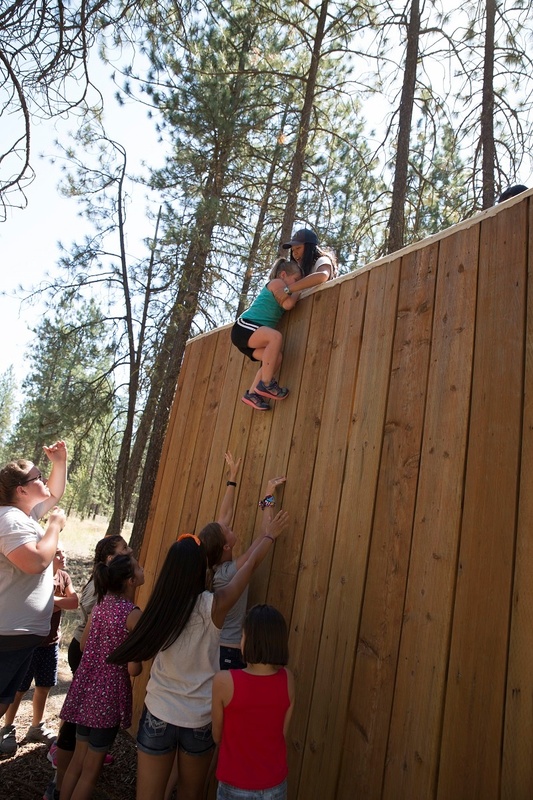 After each girl completed the trust fall, Stephanie decided that this group was prepared for the daunting challenge of “the Wall.” The Wall is a 10-foot-tall structure with a platform at the top. The goal is to have the cabin lift each camper over the wall onto the platform. Most of the girls, coming off the accomplishment of the trust falls, were excited to try. Little Sandy, however, was terrified: “We are going over this thing?” Stephanie assured her that there would be people supporting her above and below. The first few girls made it up the wall easily. When it got to Sandy’s turn, there was more of a struggle. The girls below were not able to lift her any higher, she finally grabbed the hands of the girls above. For a moment, she hung, completely relying on those arms. The girls a few feet below, encouraged her to push up with her legs. Their hands were outstretched, ready to catch her if she fell. The girls above combined their strength and lifted Sandy up. Sandy climbed over, eyes wide, shaking, but with a big smile on her face. “Yeah! But look at where you’re at!” Stephanie showed Sandy her cabin mates below. Stephanie knew that a discussion following a challenging activity is important because “being vulnerable cultivates trust within a group.” Back at home, campers might not have the time, the place, or the security to attempt new things, talk about matters of faith and belief, and experience the comfort of openness in a trustworthy group. “We are all seeking something more and something deeper” whether people realize it or not, she explained. The Wall did not define the group’s success. The conversations, trust, newfound courage, and memories marked the success of the week. Camp leader Alex set up a three-day quest, “Order of the Guardians of the Sacred Chicken,” for the boys in one cabin to sort through mental puzzles and low-rope group activities. The goal was to complete challenges to rescue chickens throughout the week. At the end, the whole cabin would be knighted into the Order. The leaders were prepared for chaos, with boys fighting to talk over one another. Despite the vast differences in personality, this particular cabin had remarkable success in working together as a team. His cabin-mate Cash added, “He was amazing. Like most of us were shuffling, or stepping on [the wire] while holding onto the rope. He would literally go—” Cash acted out Braxten’s confident steps. Personally, Cash enjoyed contributing to the team by figuring out the mental puzzles. Alex described their ending discussion together. Each boy first shared what they were personally proud of that week. Then Alex had them tell another camper what they thought that the other camper did well. Every kid is “wildly different,” Alex explained, but that uniqueness can help others. Together they were able to not only accomplish the group quest; they built lasting friendships with one another. Without hesitating, all the boys were able to encourage one another and point out each person’s talents. Alex could relate with how some of the boys thought they wouldn’t be liked if they were not sporty enough. Kids feel the need for competition and rivalry everywhere. 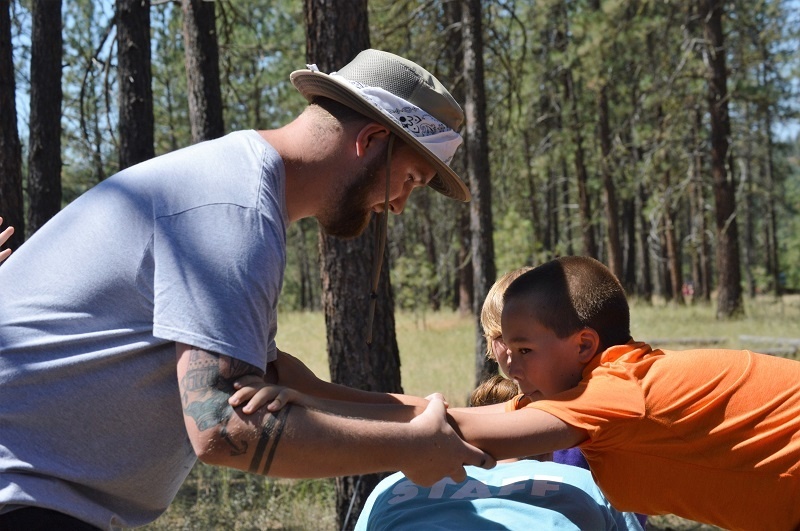 Camp isn't the only way UGM is building up at-risk youth. You can make a difference by serving in UGM Youth Outreach all year round!